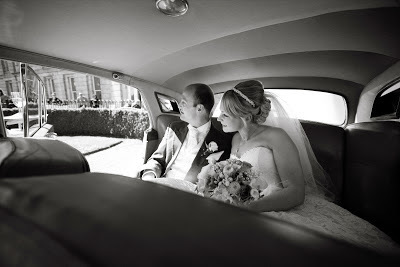 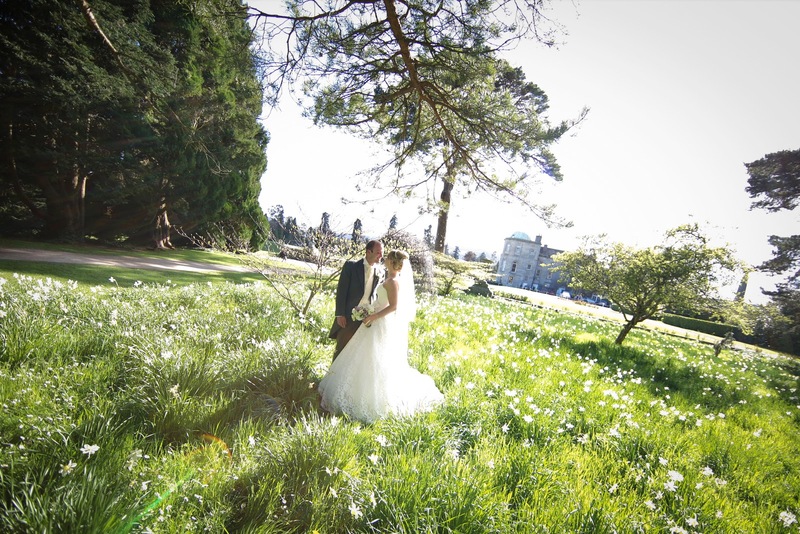 After leaving the dull days of Winter behind our wedding season started off in April with the wedding of Will & Becky. 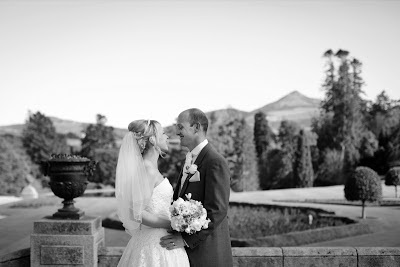 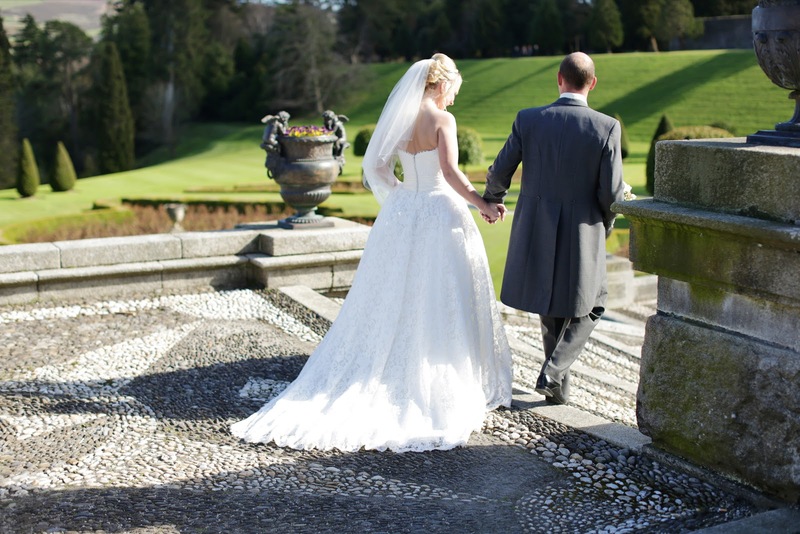 A beautiful day awaited them at Powerscourt House and they chose to have a very unique English themed wedding. 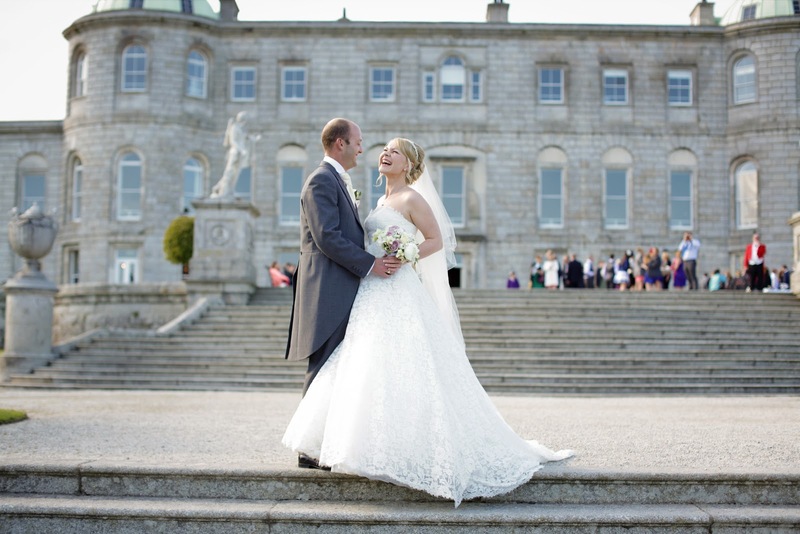 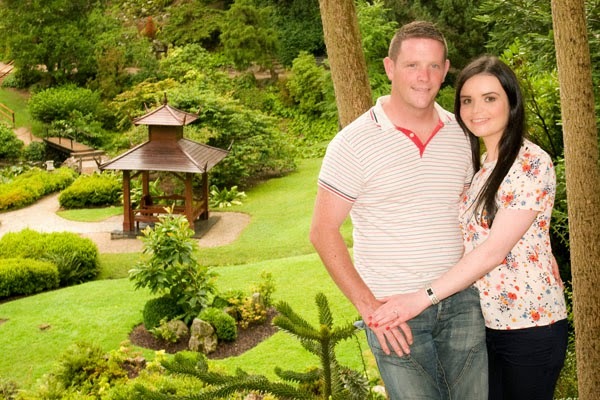 Will is a local from just down the road in Delgany and Becky came from across the Irish sea to find a handsome Irish man to betroth. 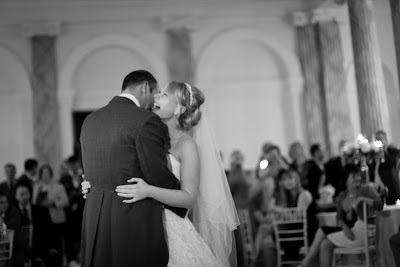 They live in Eygpt but decided to return home to exchange their wedding vows. 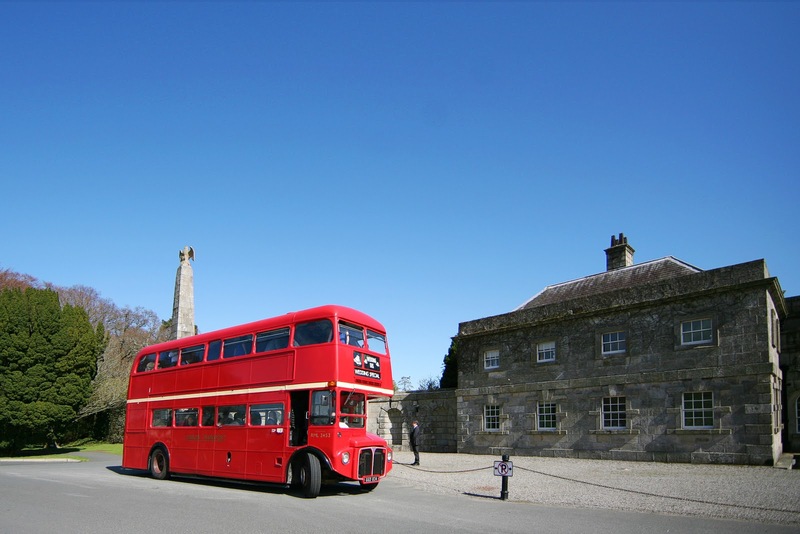 Their guests were transported via a vintage English bus and the menus were tailor made with some very traditional English dishes. The Sugarloaf mountain provides a perfect backdrop for this romantic shot! With a little help from her new husband Becky makes her way back to the main house to meet her guests. 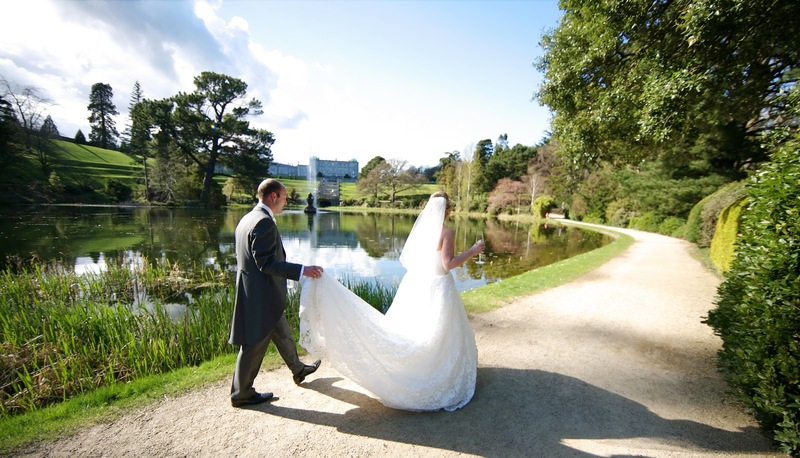 This photo is taken at the Triton Lake and looks back towards the south facade of Powerscourt House. 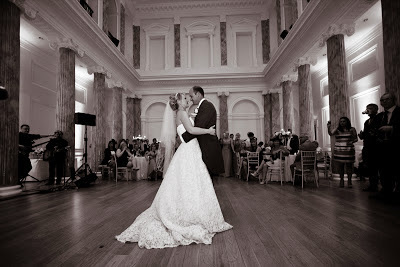 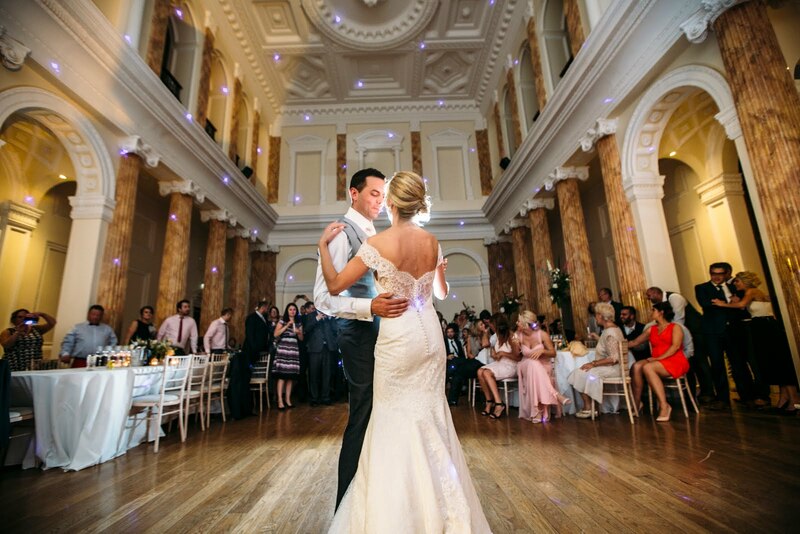 The first dance in the double height Georgian Ballroom in Powerscourt House.